Editor’s note: Michael Kugelman is the senior program associate for South Asia at the Woodrow Wilson International Center for Scholars. The views expressed are his own. On August 5, 2009, a U.S. drone strike killed Pakistani Taliban (TTP) leader Baitullah Mehsud. In the days that followed, his death was confirmed by the TTP, which immediately made plans to select his successor. One person, however, had a different view on what happened – an energetic young TTP commander named Hakimullah Mehsud. He’s just “a bit sick,” he told a reporter. What a strange remark. And yet four years later, the unhappy response in Pakistan to the death-by-drone of Hakimullah, Baitullah’s successor, is similarly perplexing. 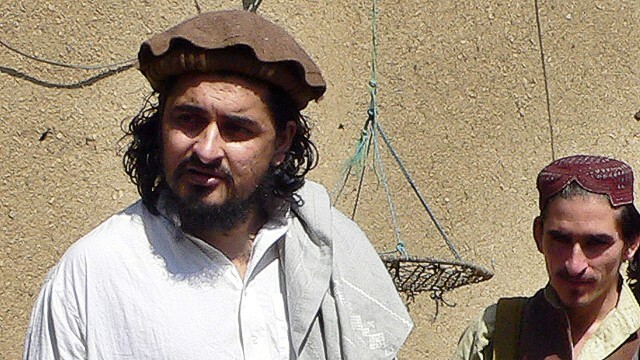 Hakimullah Mehsud enjoyed, even by the TTP’s savage standards, an outsize reputation for cruelty. He contrasted sharply with Baitullah Mehsud, to whom he served as a close aide. Baitullah was portly and afflicted by diabetes – a condition that caused him chronic leg pain. He was killed while reportedly reclining on the roof of his father-in-law’s home, receiving a leg massage from a female companion. Hakimullah, by contrast, was big and athletic – and is believed to have survived several prior strikes. Should U.S. be talking with the Taliban? Editor’s note: Howard Cohen is a Global Public Square intern. The views expressed are his own. No one relishes the idea of sitting down with the enemy, looking them in the eye and talking – especially when you have spent some $650 billion fighting that war, losing more than 2,000 servicemen in the process. Yet in June, that was exactly what the United States was preparing to do – negotiate with the Taliban. Talks were derailed when the Taliban decided to hang a white flag from their office in Qatar, the same flag used during the group’s rule in Afghanistan. Afghan President Hamid Karzai was furious, and halted talks. But despite a senior Afghan negotiator last week suggesting that talks were unlikely to resume in Qatar, the fact remains that as U.S. forces withdraw from the country, some sort of negotiations seem inevitable. And that raises a troubling question: After a dozen years of fighting, is the U.S. actually negotiating from a position of weakness? And if so, can it hope to extract any meaningful gains? “You can’t win at the negotiating table what you can’t defend on the battlefield,” says Mitchell B. Reiss, president of Washington College and former director of Policy Planning at the U.S. State Department, who argues that the United States has little leverage because everyone knows that their troops are withdrawing. “Never [have I] come across a single instance where a government was able to expedite the negotiations to suit its political calendar rather than that of the insurgent or terrorist group,” he says, adding that the Obama administration is trying to rush to the negotiation table without having laid the proper groundwork. Remember Malala Yousafzai? She's the 16-year-old Pakistani who was shot by the Taliban for promoting girls’ education. But she bravely recovered to continue her fight. Well, she has another ally now – another super girl, like her. Meet “The Burka Avenger,” a new animated series that debuts on Pakistani TV next month. The hero is a young girl. She wears the burka not as a sign of oppression, but as a ninja-style costume to keep her identity secret. Each episode has a moral payoff as she uses her karate skills to fight off corrupt politicians and evil magicians (or, the Taliban, it seems). The series has the backing of top Pakistani singers, who perform in each episode. It is said that women are the stealth reformers of Islam. In Pakistan, now they have the help of the Burka Avenger. Editor’s note: Ahmad Majidyar is a senior research associate at the American Enterprise Institute, focusing on South Asia and the Middle East. The views expressed are the writer’s own. The opening of a Taliban office in Qatar prompted fresh optimism over the prospect of a political settlement being reached that could end the 12-year conflict in Afghanistan. 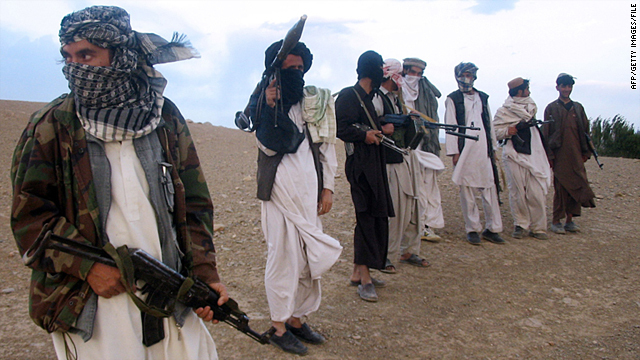 The U.S. and Afghan governments hoped that the insurgent group would agree to renounce violence, cut ties with al Qaeda and accept the Afghan constitution. The Taliban, however, clearly had a different agenda, using the occasion as a publicity stunt to present itself as an alternative government and gain international credibility. And its approach sent shockwaves across Afghanistan. 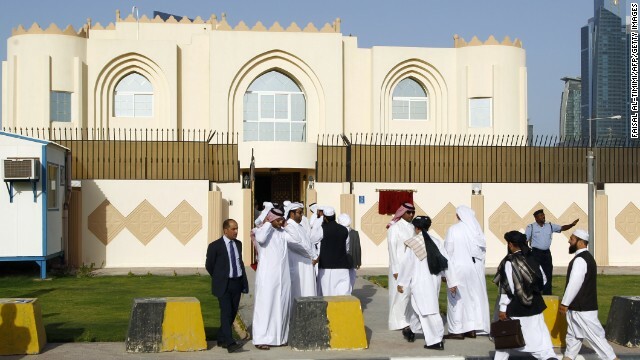 At the inauguration ceremony in Doha, Taliban representatives reportedly played their official anthem, hoisted their white flag and placed an “Islamic Emirate of Afghanistan” nameplate outside their embassy-like building. Feeling betrayed by the U.S. and Qatari governments, Afghan President Hamid Karzai almost immediately announced he was boycotting the talks and suspended planned negotiations with Washington over a bilateral security agreement that lays out the legal framework for post-2014 American military presence in Afghanistan. Since then, the peace talks have been placed on hold. As a result, despite Secretary of State John Kerry’s conciliatory phone conversations with President Karzai, and Presidents Obama and Karzai on Tuesday “reaffirming” their support for talks with the Taliban, any negotiations are unlikely to produce something tangible. 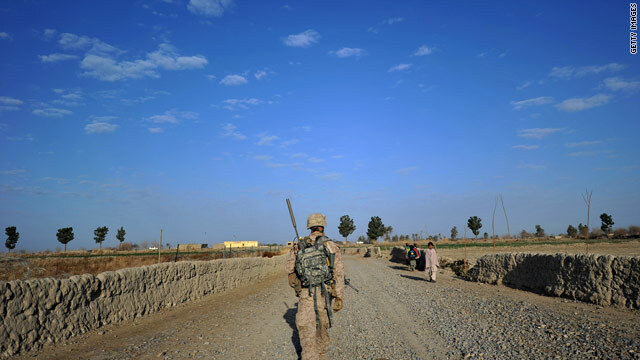 More from GPS: Are Afghans ready to take over security? Senator Rand Paul decided to drone on last week about drones. He employed a rare talking filibuster to stall a confirmation vote for John Brennan as the CIA's director. All told, he went on for 12 hours and 52 minutes, including when he took questions from his Republican colleagues. Washington also saw some tough questioning for Eric Holder. The attorney general was forced to admit it would unconstitutional to kill an American citizen with drone strikes on U.S. soil unless there was a Pearl Harbor-type imminent threat. Usually, filibusters can be viewed as a bizarre, quasi-constitutional mechanism that is basically anti-democratic. But it's important to have a serious debate about drones, not just on the legality of whether they can be used to kill an American citizen, but a broader debate about them. Topics: Conflict • Taliban • Technology • Terrorism • United States • What in the World? Fareed Zakaria speaks with King Abdullah II of Jordan about the future of Bashar al-Assad’s regime in Syria and radical Islamists in the region. What would you like to see happen in Syria? You are facing an extraordinary crisis. And I think people need to remember you have now 300,000 refugees from Syria. You have just gone through a decade in which you took in hundreds of thousands of Iraqi refugees. The Iraqis have just started going back, and you now have this new influx. Do you think that the fall of al-Assad will, in some way, end this crisis? Or will that launch the beginning of a larger Syrian civil war? Well, the challenge that we have with the longer this conflict goes on, the more the country will implode. And so for the first time, again, there’s talk of is there going to be a fragmentation of Syria? The breakup into different smaller states, which I think would be catastrophic and something that we would be reeling from for decades to come? But the longer it goes on, the nastier it gets, the more complicated it gets. But at the same time, anybody who’s saying that Bashar’s regime has got weeks to live, really doesn’t know the reality on the ground. They still have capability. So I give them a strong showing, at least for the first half of 2013. Why is it that the army has not gone to al-Assad and said, you have to leave? In other words, there’s been relatively little defection at that highest level. Help us understand what the dynamic is that keeps the regime together. Well, the regime was based on Alawite leadership that gives this a lot of its strength. And, again, part of the problem is with some of the minorities, especially if you look at the Christians and the Druze. Part of the issue that we’ve been tackling over the past several plus years and a half is seeing this influx of radical fighters coming into the country. So if you’re a Druze or you’re a Christian, who is sitting on the side of the fence…and even certain Alawites are not happy with the way Bashar is dictating the future of his country. But the other alternative, radical Islamist groups coming…is more frightening. So I think that’s what’s kept them on the sidelines. Editor’s note: Javid Ahmad is a program coordinator for Asia at the German Marshall Fund of the United States. The views expressed here are his own. Now that President Barack Obama has been reelected for a second term, the White House is reportedly reevaluating its mission in Afghanistan, once again igniting the debate over the level of residual American forces that will remain in the country after 2014. That date marks the point when the Afghan National Security Forces (ANSF) – which includes the army and the police – take the lead responsibility for Afghanistan’s security. And, while the exact size of the post-2014 deployment is still unclear, it seems the number of residual American troops might range from between 10,000 and 15,000, in addition to a few thousand international troops. The transition process is incredibly delicate, as it will be important to ensure that the Afghan army and the police are in a position to manage Afghanistan’s security. This means determining the precise role of residual troops, the type of missions they will conduct, the number of bases they will require, and just as importantly, the nature of their relationship with the Afghan government, the ANSF, and the Afghan people. Some of these ambiguities will be clarified in a bilateral security pact between Kabul and Washington, expected to be concluded by May 2013. 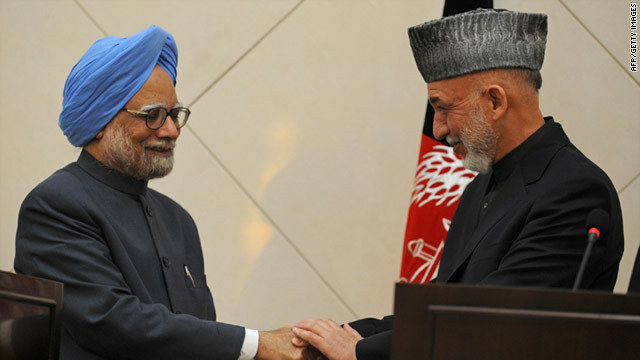 Afghan President Hamid Karzai’s visit this week to India highlighted the strengthening relationship between the two countries. While India has invested heavily in a range of development projects in Afghanistan since 2002, its emergence as a political player is relatively new, considering that as recently as January 2010, and under Pakistani pressure, India was excluded from a conference in Istanbul discussing security in Afghanistan. Deteriorating relations between the United States and Pakistan, and the subsequent announcement of 2014 as the year of “transition” changed the West’s attitude towards India’s role. By June of this year, U.S. Defense Secretary Leon Panetta was urging India to play a more active role in Afghanistan. While there had been speculation prior to Karzai’s India visit that the two countries would agree to scale up training of Afghan army officers, in the end the main focus was on economic engagement. Under the Istanbul process of regional engagement, India had already agreed to lead work on increasing regional interaction among chambers of commerce, and on commercial opportunities in the region. It has also hosted an investment summit for Afghanistan. 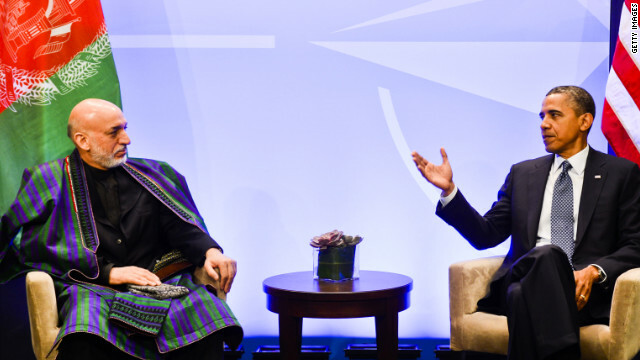 On the trip, Karzai reiterated that Afghanistan was open to Indian business. Editor’s note: Javid Ahmad, a native of Kabul, is a program coordinator with the Asia Program of the German Marshall Fund of the United States in Washington, D.C. The views expressed are his own. Pakistan on the cusp of change? 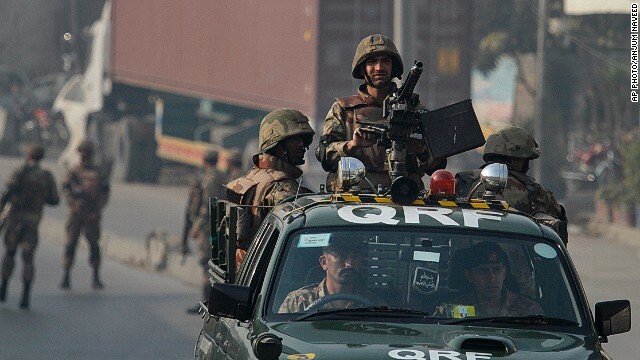 Earlier this month, the Pakistani Taliban opened fire on a school bus. Two girls were shot. At first, it seemed a familiar story. The Taliban, after all, has bombed hundreds of schools, especially those for girls. But here's what's new: Mass protests ensued against the Taliban, and in favor of women. That's startling and refreshing in Pakistan.